Higher education concerns all education beyond the high school level. This includes bachelor’s, master’s, doctorate and associate’s degrees. Higher education is considered a basic stepping stone towards white-collar jobs including research and teaching. Higher education is structured less rigidly than lower levels of education. While states attempt to regulate primary and high school education to ensure that all students are trained in generally accepted skills, higher education has the freedom to develop individual curriculums. While some programs such as engineering may be regulated by private bodies that attempt to standardize curriculums, the universities are not bound to follow them and may exercise considerable independence. 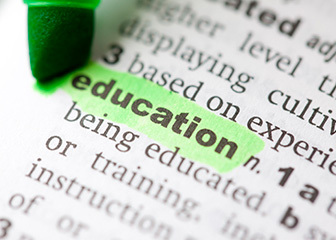 Higher education also attempts to provide its students with work experience, research and teaching opportunities in addition to the basic education. Higher education also provides students with some unique extracurricular opportunities in sports, music and other fields. Associate’s degrees in higher education are generally two year programs offered by community colleges. These can provide a stepping stone into some entry level jobs but involve limited breath of study. An undergraduate degree in higher education often involves four years of study and a concentration of study. Over half the courses may be related to the concentration whether in the liberal arts or engineering. Undergraduate degrees in higher education still require all students to fulfill area requirements in writing, quantitative study and languages. Master’s degrees can often create additional academic and professional opportunities. Master’s degrees are generally used to focus on a sub-area within a discipline though they may occasionally be used to enter completely new areas for those looking to make a career switch. Degrees in higher education will give you a firm grasp on teaching practices and techniques, thereby enabling you to become a better teacher. Doctoral degrees in higher education prepare students for careers in research and teaching whether in private industry or academia. The specializations available in higher education extend across many different subject areas and durations of study. You can specialize in any subject in science, engineering, social sciences and humanities. There is a growing trend towards interdisciplinary majors in higher education. For example, degrees in nanotechnology may involve the study of chemistry, biology and physics. Degrees in management science may involve accounting, finance, psychology and economics. There are also unique degrees at select schools that may combine psychology and philosophy or computer science and the humanities. One of the primary goals of higher education is to train people broadly enough to prepare them for careers that require critical thinking, adaptability and personal qualities. While those without higher education may often pursue blue-collar jobs as laborers or clerical jobs, those with higher education are more likely to be involved in teaching, research and management. The career opportunities and salaries you can derive from higher education really depend upon what path you follow. Medicine, law, business and engineering can often draw upper middle class salaries. Researchers and university professors also have strong career prospects especially if they receive tenure and take advantage of consulting opportunities. Q:Is there higher education beyond a doctorate degree? A:There isn't a higher education beyond a Doctorate degree, however you may opt for certifications, that can increase your career prospects even further. Q:What are the main advantages of earning Online Higher Education Degrees? A:With the growing trend of distant education, it has become easier to earn degrees without having to go to a university. The main advantages of online education are that students can study from there home with no traveling. Another advantage is the flexibility of time and schedule; students can study at hours that suit them best. Online education is comparatively less expensive and allows students to work full time side by side.